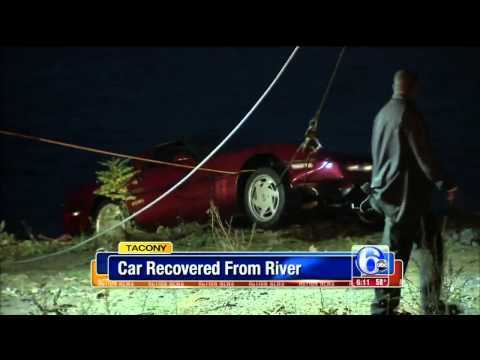 Man Drives Woman’s Corvette Into Delaware River Over Divorce. Divorces can be very unwanted situations for most people and can lead to one of the two parties involved becoming angry or bitter. 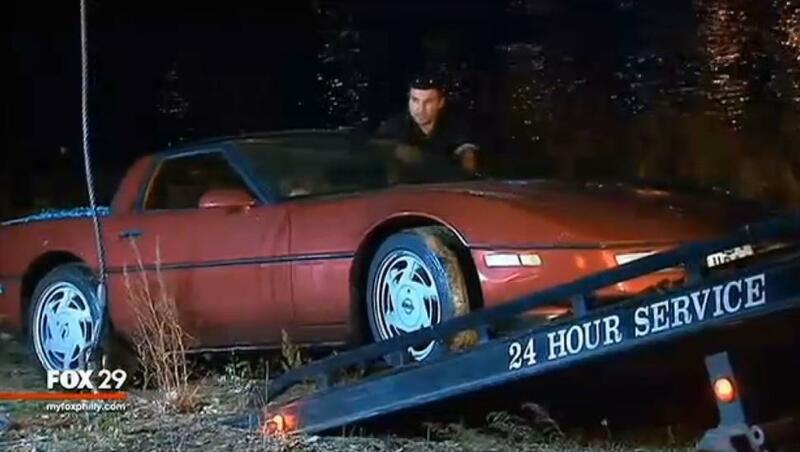 This may have been the reasoning behind this Philadelphia man driving his wife’s red Corvette into a river on Monday afternoon. Officers were called out to the Delaware River that Monday after a witness told them that a man had driven it to the bank of the river, gotten out and then let the car roll into the river, according to police Inspector Scott Small. “I guess he was angry with her and drove her vehicle into the Delaware River,” Small said. This led to a marine unit diving down into the dark river to look for a possible victim inside the car. The Corvette was in about 30 feet of water and the divers said that it was zero visibility, blindly feeling around in the car for anyone. After making sure the car was unoccupied, they attached a tow line to the car to pull it out. Investigators then determined that it was the 50-year-old husband who took and placed the car in the river. They did this by matching witness description with the husband’s photo. The man is being looked for at the moment, but won’t face theft charges because they both owned the vehicle. Instead the husband violated a protection from abuse order and may also face charges of reckless endangerment due to the diver’s diving situation. Small called it “extremely dangerous” to have the divers down there in such dark conditions. That area is known to have car parts, rebar and trash. One other likely charge is illegal dumping, according to Small.